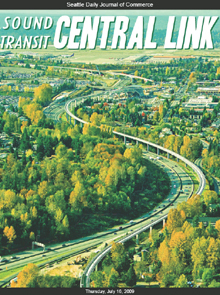 Central Link ready to roll"
Challenges included unstable soils, a tunneling project, miles of utility work and building an elevated track to Tukwila. 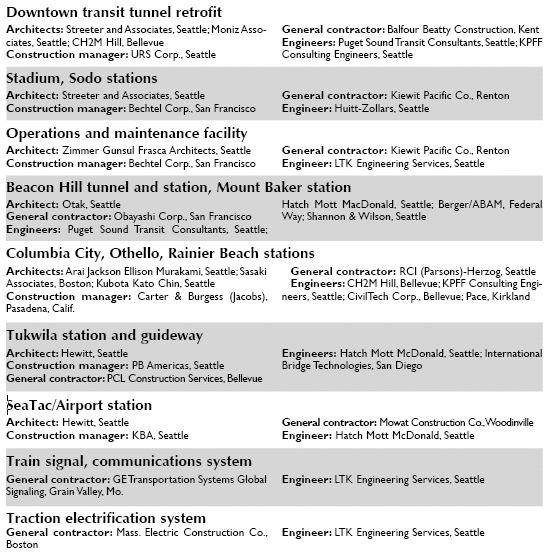 It took a 500-ton gantry crane to help piece together 1,872 bridge segments. 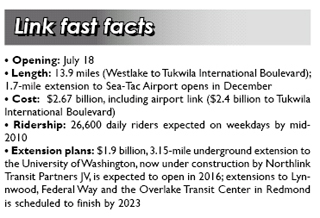 "The long bridge to Tukwila"
"Two stations bound by proximity play dramatically different roles"